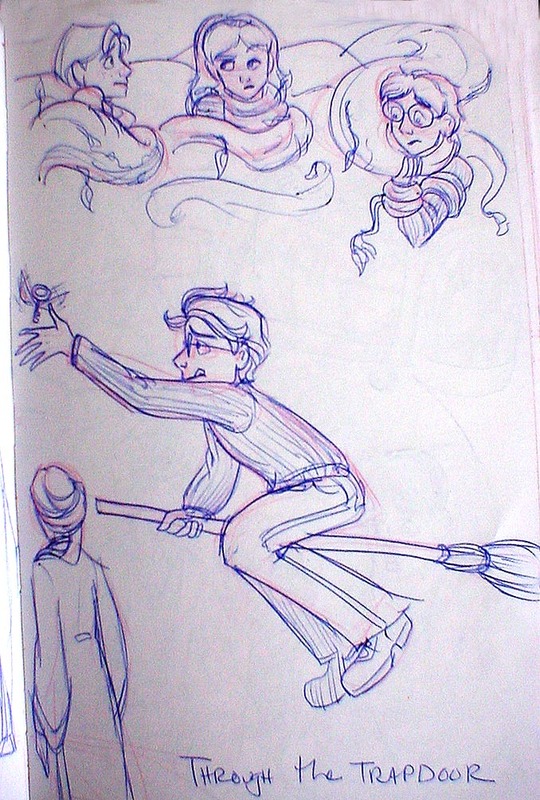 Hehe Harry's tongue is hanging out of the corner of his mouth while he's reaching for the snitch. I know so many who people who do that when they are concentrating like that, I think it's cute. I love this too! I like especially Harry's expression and his hard concentration. Also, the way you have the plants twining around them is great. to Crookshanks... He's reaching for the key. The title is "Though the Trapdoor" so, he wouldn't be going for a snitch. Again, great expression on Hermione. Very fun montage; well done! hermione looks like if she could she'd hit ron! great! Actually, in the book, Hermione never gets caught in the Devil's Snare. Only in the movie. I also really like Harry's catching the key expression. kimjewell... did you even readthebook?